My observation comes from when you are creating them (at least from scratch anyway) and it may provide an small insight to how they could be dealt with if you have to use them. 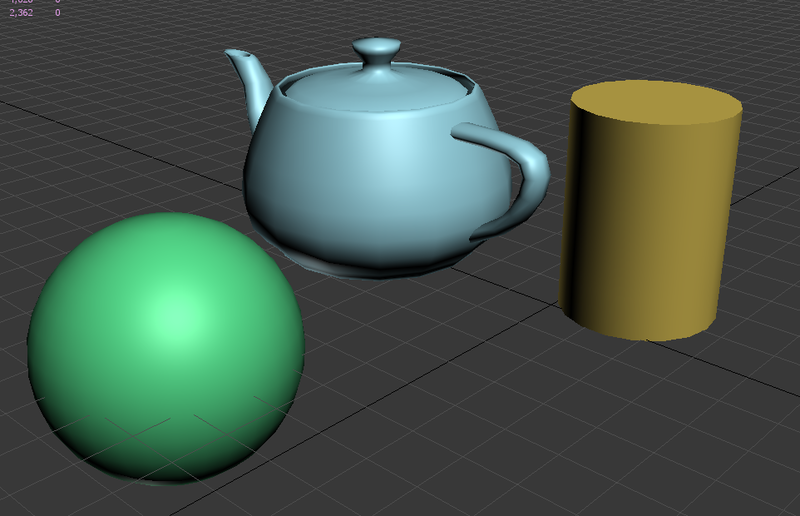 In a new scene, create a few primitives (these can be anything as this is just a test). 1. 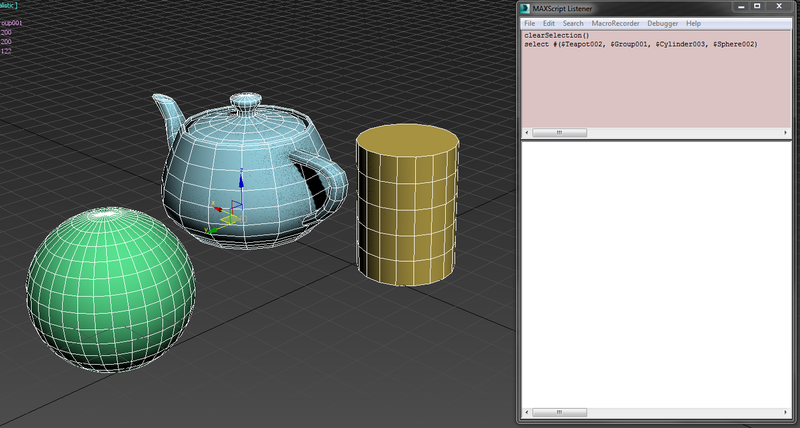 Group of newly created 3ds Max primitives. Group your new primitives together (Group > Group…) and name that group (can be anything). 2. Giving the group a name. Now open up the MAXScript listener (MAXScript > MAXScript Listener… or press F11). Make sure your group is still selected. and you will notice that it is the name of your group (if it is not then just re-select the group again and re-type out selection.name ). Now repeat steps 1-4 and you should get the name of the group again. (make sure your group is selected as the isGroupHead method requires a node which in this case is your selection) and it should return true! So what does this tell us? It tells us that a newly created group’s “head” node is (EDIT: always seems to be) in the 2nd index (the 2nd slot) of the group, (or the array as that is technically what a group is) hence why we used selection. What is a Group then? 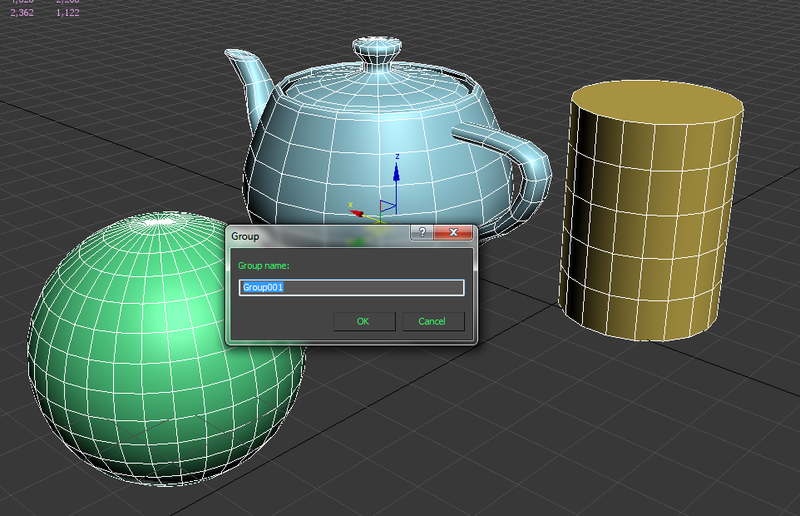 A Group in 3ds Max is an “invisible” dummy object that has been created to become the parent of the objects in the group. So in short, if you are using Groups in 3ds Max, take caution and if you trying to script with them then hopefully this has been informative for you and please don’t hesitate to comment on my observation! ‘a newly created group’s “head” node is always in the 2nd index (the 2nd slot) of the group’ – note that’s not how it works. 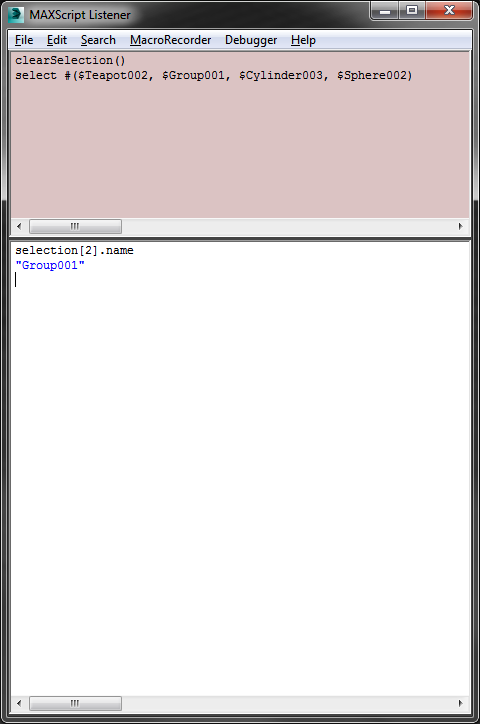 It has to do with how the selection set is ordered and how upon selecting any node of the group, the rest gets selected too. So, when you select one node of the group in the viewport (which selects the rest of the group too), the group dummy will be second – so far so good. If you select multiple nodes (3 of them, for example), let’s say by rectangular selection, the group dummy will be the fourth item. If you select the group node itself, say using ‘select $Group001’, it will be the 1st one. Next Next post: A MAXScript Perspective – The Power of Automation!